Intel has just started shipping some of its fastest laptop chips to date, meaning new powerful laptops should soon be on the market. Intel shipped the first laptop Skylake chips last year, but they were for mainstream and entry-level laptops. These new chips, just added to Intel’s price list, are aimed at the high end. The fastest of the bunch, at 2.8GHz, is the quad-core Core i7-6970HQ, which has 8MB of cache and a list price of $623. 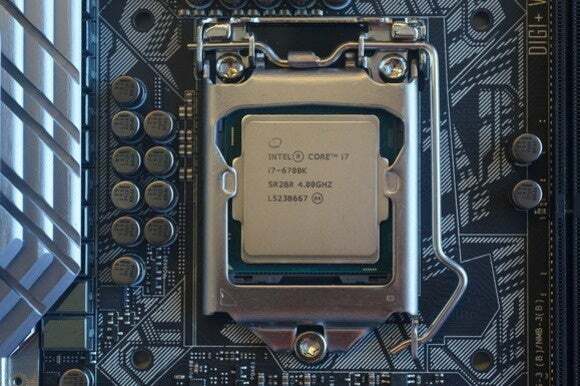 Other new Skylake parts include the Core i7-6870HQ and i7-6770HQ. The chips should be Intel’s fastest for laptops until it releases its next Extreme Edition gaming chip, which will also be based on Skylake. Skylake processors are manufactured using Intel’s latest 14-nanometer process. Last year, Intel launched two Xeon chips for mobile workstations, used for CAD/CAM (computer-aided design and manufacturing) applications. It’s now adding three more. At $1,207, the quad-core E3-1575M v5, for example, runs at 3GHz and has 8MB of cache. That’s Intel’s second-most expensive mobile chip after the current Extreme Edition gaming parts.